The fireworks have been set off. The grills are put away, and the food is gone. But this red, white, and blue week isn't over yet! I'm sure you're thinking, 'What's more patriotic than the U.S. national teams?' Well, we might have something for you. I bet you didn't know that a few of our very own U.S. presidents were cheerleaders too. Cheerleading today MIGHT be a little different than in years past, but once a cheerleader, always a cheerleader! Can you guess who the four spirited presidents were? 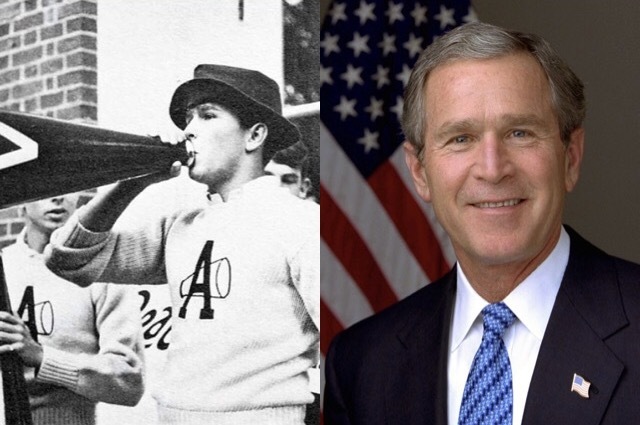 President George W. Bush was the head cheerleader at Phillips Academy his senior year of high school in the 1960s. After high school, Bush attended Yale from 1964-68, where he was also a cheerleader! President Bush was our 43rd president and served from 2001 to 2009. Fun fact… his birthday is July 6 -- just two days after Independence Day. 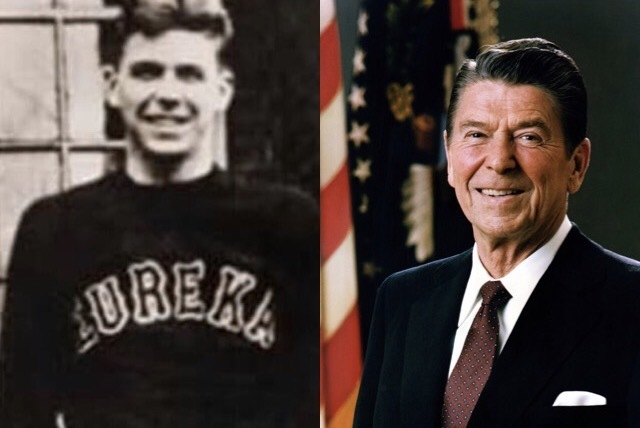 President Reagan was a cheerleader at Eureka College where he studied sociology and economics. He was the 40th president of the United States and served in office from 1981-89. President Reagan served in the U.S. Army Air Forces from 1937 to 1945. President Eisenhower was a cheerleader for West Point Academy. As the 34th president of the United States, he was in office from 1953 to 1961. Before being elected, he was a five-star general in the United States Army and served during both World War I and II. President Eisenhower was also a huge sports fanatic while in school and participated in many sports. 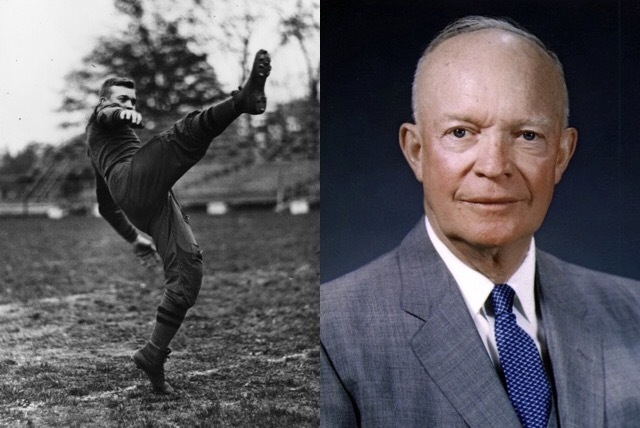 After suffering from a knee injury in football, President Eisenhower decided to be a cheerleader for the team. What a great team supporter! 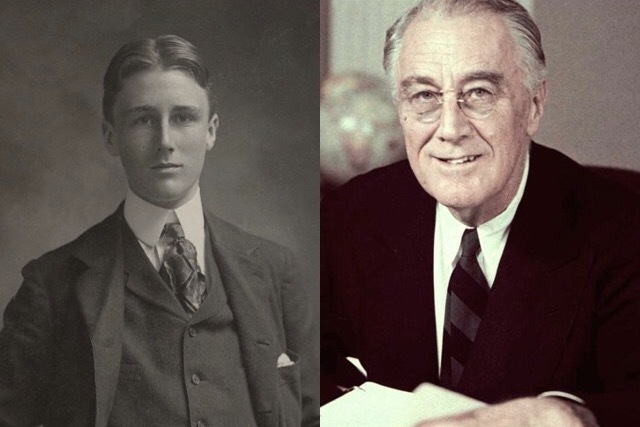 President Franklin Roosevelt was a cheerleader for Harvard College from 1900 to 1903. He later attended Columbia Law School. FDR was our 32nd president and was in office from 1933 to 1945. Keep your patriotic spirit going all week long and don't forget to watch 'USA Coed: Going For Gold,' the 3-part documentary series!